Marino is a professor of Writing at USC and author, with his two kids, of the digital interactive children's story Mrs. Wobbles and the Tangerine House. 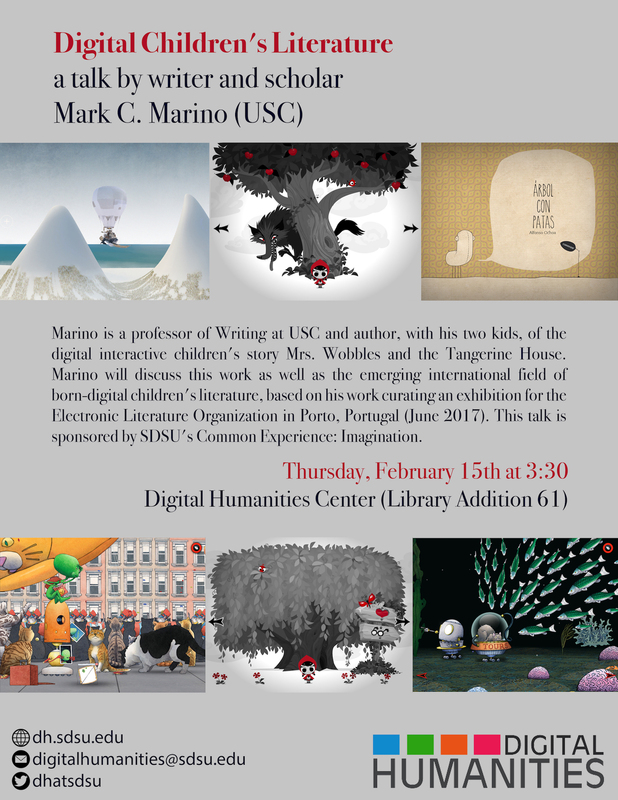 Marino will discuss this work as well as the emerging international field of born-digital children's literature, based on his work curating an exhibition for the Electronic Literature Organization in Porto, Portugal (June 2017). This talk is sponsored by SDSU's Common Experience.